If you are planning on replacing your roof with highly appealing, yet cost-effective and weather-resistant roofing material, look no further! Asphalt shingles are the way to go! In today's highly competitive residential roofing market, you may have many options to choose from, but asphalt shingles are, by far, one of the most popular choices. Although not as heavy-duty or long-lasting as more premium roofing alternatives — like metal roofing (such as aluminum, steel or copper) and slate — asphalt shingles offer ample protection and curb appeal at only a fraction of the price of other options. 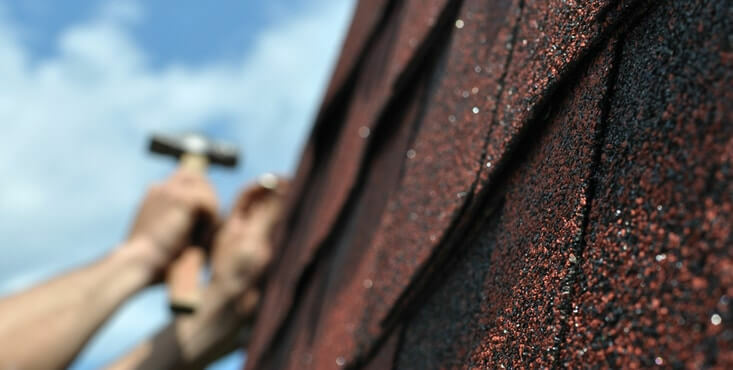 At Reno-Assistance, our Renovation Advisors will go through every advantage and disadvantage of asphalt shingle roofs with you, helping you determine if this popular roofing material is right for you and your home. • Organic - Organic shingles are made from paper waste coated with asphalt (for waterproofing purposes), adhesive salt coatings and ceramic fragments (embedded on top of the shingle). • Fibreglass - Fibreglass shingles are coated with a layer of synthetic glass fiber and asphalt, which makes them waterproof. What's the best fit for your home? 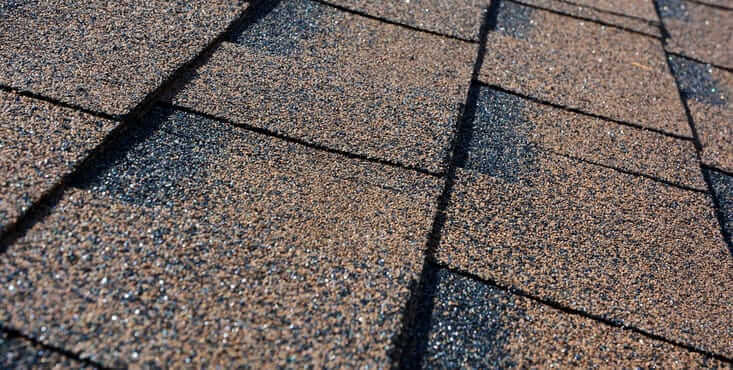 Although more durable than their fiberglass counterparts, organic shingles are more flammable and less eco-friendly due to their high level of asphalt, which is oil based. Alternatively, fiberglass shingles offer exceptional protection against fire, and, if popularity is any indication of merit, are gradually replacing organic shingles as the best option. Want to know more about alternative roofing options? Compare asphalt shingles to other roofing options Reno-Assistance's contractors can install. Your roof plays a very important role on the home front. So much is riding on it: your comfort, your safety and your home's curb appeal. A poorly installed roof can put you, your family and your home's structural integrity at risk. Whether you have to repair or replace your home's roof, you'll need a professional roofing contractor to do the job. That's where Reno-Assistance comes in. We have identified the best roofers for this type of job, so you can get your roofing project off the ground immediately. When working with Reno-Assistance, you'll find the right roofer for your home...and budget. We will refer you to only the top roofing experts, making the entire process easier for you — from choosing the best asphalt shingles to replacing (or repairing) your roof. Get on your new roof now. One of our dedicated Renovation Advisors will gladly help! Our Renovation Advisors have countless renovation and construction projects under their belts. 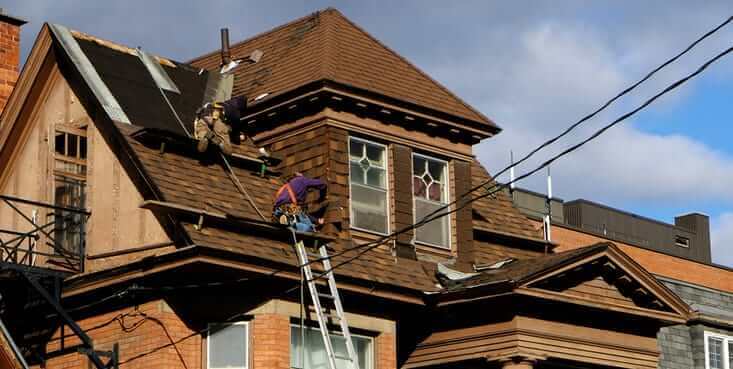 They'll surely find you the best roofers for your project in no time. Your advisor will review your project to identify your needs, send up to three professional roofing contractors to quote on your job and look at their quotes with you - providing you with the guidance you need to select the contractor that's right for your project. All of this for free. There's no obligation on your part to continue with these referrals. Though, we believe you'll be more than delighted to with these contractors' workmanship. There's no reason to wait to wait any longer. Get your roofing project started today. 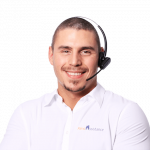 Our team evaluates all roofers to a strict set of criteria.